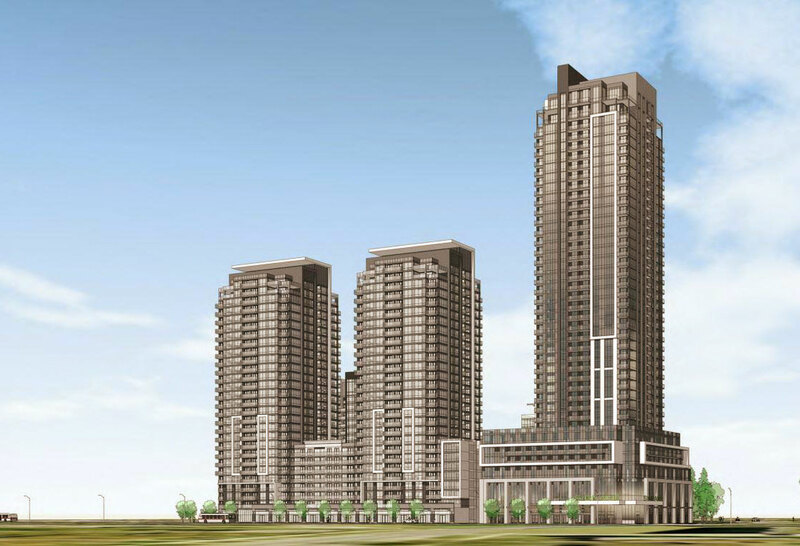 ME Condos phase 3 will be a mixed condo units of 380 with 39 storey tower condominium in Scarborough. Located in the Woburn neighbourhood, this condo has all the amenities and surrounded by green lush to make the lifestyle worthwhile living here in ME3 Condos. Me3 Condos is a new condominium development by Lash Developments. Currently in pre-construction, the development is located at 1151 Markham Road, Scarborough in Toronto. The project will be the ME Living series’ third phase and a major project in the Markham & Ellesmere region. Me3 Condos will be a 39-storey tower housing 380 mixed condo units. Suites sizes will range between 400 sq. ft. and 1200 sq. ft. This condominium is scheduled for occupancy in 2021. The Me3 Condos will feature a wide range of amenities inside the building on several levels, and both indoor and outdoor. Some of the amenities within the building include a sports lounge, a games area with a bar, a billiards table, several plasma screens, and a fully equipped fitness facility with a yoga studio. Guest suites, multipurpose kitchen, private dining areas, large party room and a Hollywood-inspired movie theatre room are the other amenities that will be housed in the condo building. Outdoor amenities will be located on this development’s beautifully landscaped spacious rooftop deck. It will feature an outdoor fireplace, a swimming pool, dining and lounge areas, as well as BBQ’s areas. Centennial College and University of Toronto are close to the condo site. Both institutions do not have adequate quality student housing. This new condominium development is only minutes to Morningside Park, featuring almost 600 acres of plush greenery as well as forests and several miles of walking and jogging trails. Also, at your fingertips are several shops, services and a wide range of world-class restaurants. During the past few years the region has experienced a rise in residential and commercial project proposals. Scarborough has been included in Urban Toronto’s “Growth to Watch for” list. Urban Toronto monitors developments in the entire GTA. This makes it an ideal location to invest in. The Lash Group of Companies is an Ontario-based property development company founded in 1955. With many decades of experience under its belt, it has curved its niche to become one of Toronto’s leading residential builders. It has exceeded its client’s expectations in its projects by creating topnotch communities in the GTA. The firm always strives to come up with something unique, setting the standard for projects’ construction and design. It has an impressive portfolio with the Me Living Residential Community as one of its major projects. Other projects are 20 Stewart, 455 Adelaide W, 66 Portland Street, The Rushton, and 530 St. Clair Ave W.